START trembling, Owen Jones. There’s a new Shouty Boy in town. His name is Ross Greer. He is a Scottish MSP for the Green Party and has the absolutist views that come with that territory. You are either with him or White Supremacist. He was on Good Morning Britain this week, accusing Winston Churchill of colonialism, racism and fascism. Pitched into a gob-off with Piers Morgan, Greer was made to look relatively dignified and his performance will have impressed many producers. Some are calling him the Scottish O J, Owen McJones. He’s got everything the studios want in a Desktop Despot: he’s green, he’s goady and he’s grating. Those are the very G Factors that producers of Sky News, BBC Newsnight and Politics Live can’t get enough of. He’s fast too. Owen Jones is getting on a bit now. He’s not as quick on the comparison draw, whereas young Greer the glumslinger can draw a fascism likeness in minutes. His MTHL rating (the average Meantime to a Hitler Likening) is an impressive 2.3 sentences. But Owen Jones has completely exhausted his stock of World War II and Weimar Republic references: some of the make-up staff at Sky have said he looks drawn and all Hitlered out. O J is starting to look as if he’d have to pay the full fare on public transport. Not that he ever has to take it these days, but there’s a danger that TV producers might stop sending taxis to pick him up. Can someone get me Owen Jones? 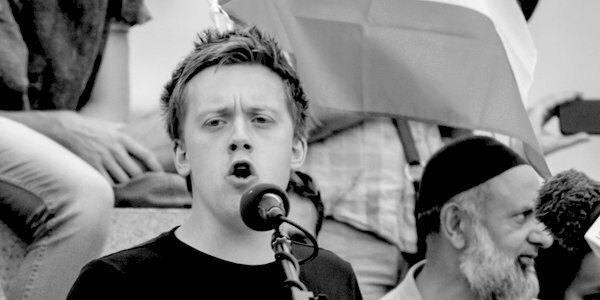 Can we get an Owen Jones clone? It looks like we are at stage three in O J’s career. Producers in need of a GobStopper may soon summon their talent with the words ‘Get me Owen MacJones’. But is Ross Greer ready to be O J 2.0? He’ll need to memorise some key references. He missed a blatant chance to liken Churchill’s white supremacy to ‘Donald Trump’s playbook’. He made no mention of being on ‘the right side of history’. There was no description of anyone stepping up to the plate, parking tanks on anyone’s lawn, dying on a hill for the wrong cause or owning a narrative. But he will learn. He’s trending on Twitter – and that means Ross Greer is on the right side of hysteria.